Pioneer Library and the Hall at Kinton's Knob. 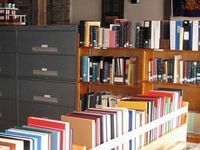 The Pioneer Library houses the county's most extensive collection of historical and genealogical materials. 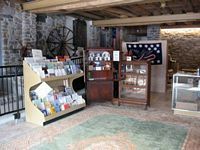 It serves as a repository for all types of historical information and welcomes donations of materials. 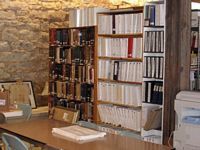 We provide the resources and facilities for a broad spectrum of historical and genealogical research with a knowledgeable staff to assist you. 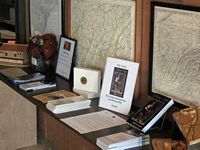 We also sponsor numerous programs, activities, exhibits and seminars throughout the year to highlight areas or events of historical significance to the county and surrounding regions. 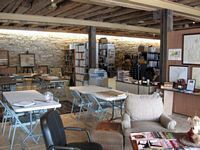 The Hall at Kinton's Knob is located above the Pioneer Library in our bank‑barn building and provides a unique venue for meetings, showers, parties, and receptions. 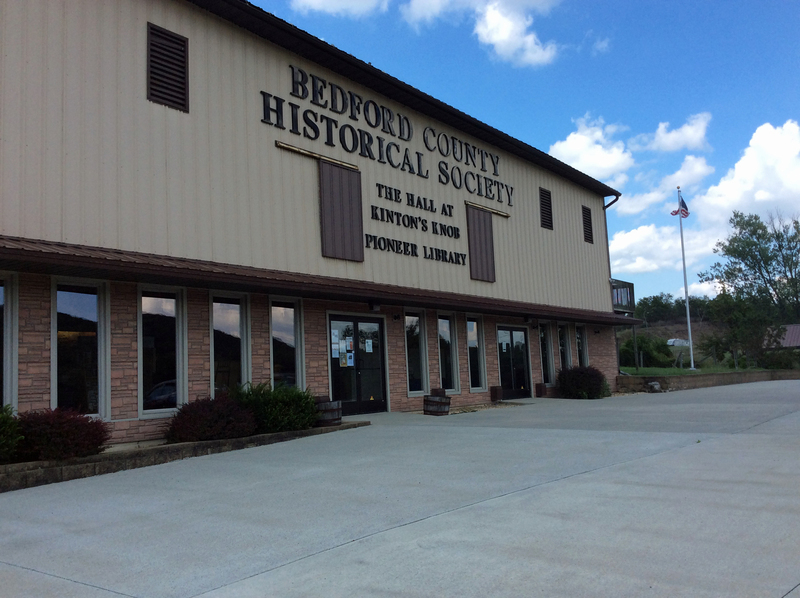 The Bedford County Historical Society, originally known as the Pioneer Historical Society, was formed on July 4, 1937. Albert S. Ritchey and Major Simon M. Lutz were the driving forces behind the formation of the Society. Major Lutz remained a dominant figure for many years. More details about the society's formation may be found in the first publication of `The Pioneer` dated July 1975. “The Pioneer” is BCHS's quarterly magazine and can be found in the book entitled “The Pioneer Library Compiled Quarterly Magazines, Volume 1, 1975-1986” that can be purchased under the “Store” section in the Menu. 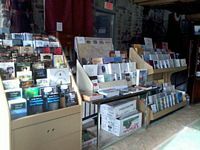 However, use of the library is included with your membership so we encourage patrons who are not already members to please join using the Membership link in the menu on the left. In addition, the library can assist you in your genealogical research. Please see the menu for more information. WIFI is available at the library when people come to do research. Bedford County was created in 1771, and her western border extended to the Ohio line. 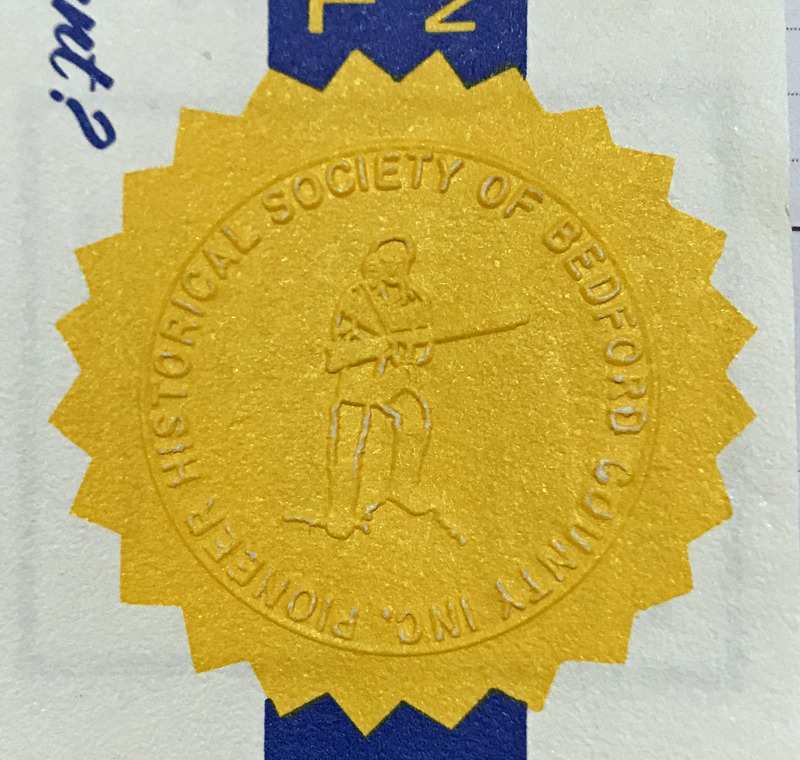 Records for counties that were taken out of Bedford... Westmoreland, Huntingdon, Somerset, Cambria, Blair, and Fulton... would be recorded here until that county was formed. 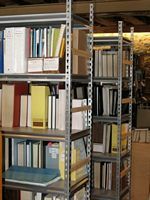 You can see a partial listing of our collection and resources under the “Genealogy Research” section in the menu. Some of our items on display. Part of our research area. A small selection of reference material. 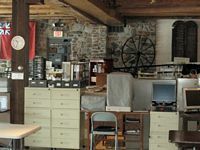 Computers and microfilm readers in foreground, and historical items in the background.